RIVIERA BEACH, TEXAS. Riviera Beach, on Farm Road 77 and Baffin Bay in southern Kleberg County, originated as a vacation resort. In 1907 Theodore Koch, a land developer from Minnesota, started a town on the railroad and named it Riviera, after the French Riviera. Koch purchased 20,000 acres in South Texas from Henrietta King for $10 an acre. Koch offered $7, but King refused to lower her price. Koch boarded a train to leave in hopes of pressuring King to give in. King refused to negotiate, and so Koch got off the train and paid the $200,000. Koch had big dreams to develop this land into a premier resort destination. The towns of Riviera, Vattman, and Riviera Beach were soon created. Riviera Beach would boast a grand hotel, fishing pier, and pavilion. Koch built a railroad and advertised lots across the United States. Sadly, his dreams were not fulfilled. 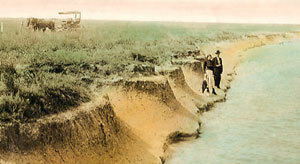 The drought of 1916, the hurricane of 1917, and the onset of World War I halted the growth of the area. He also purchased a tract of land ten miles away on Baffin Bay and started a resort community, which he named Riviera Beach. He surveyed the land between the sites, divided it into plots, and sold it to farmers. Koch planned to construct a boulevard stretching from Riviera to the bay community, but only a small part of it was ever built. At Riviera Beach he employed workers to build a hotel, an ice plant, waterworks, and a 400-foot pier with a pavilion at the end of it. An attractive park was laid out, and it was not long before several small businesses were opened. A post office was established in 1914. 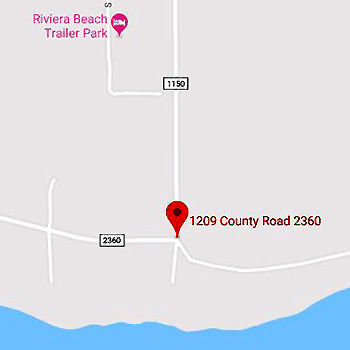 At first the beach could only be reached by a dirt road from Riviera, but in 1912 Koch built the Riviera Beach and Western Railroad to connect the two towns, and as a result more people began visiting the resort to fish and swim. By 1913 there were enough families with children living there to warrant the establishment of a school. In 1916 thirty or forty families lived at Riviera Beach. In addition, a considerable number of vacationers were taking advantage of the recreational facilities. But on August 16 the community was devastated by a hurricane that came out of the Gulf of Mexico and swept through the town, destroying the pier and pavilion, all of the businesses, and most of the residences. Nearly all the inhabitants soon left, and all that remained of the town was the hotel. At that time Koch decided to stop the operation of the railroad. In 1917 it was dismantled, and the rails and rolling stock were sold. World War I made travel and land investment unpopular, and the drought of 1918 further discouraged the town’s growth. In 1931 the only permanent residents of Riviera Beach were members of Eric and Elsie Neubauer’s family. Although the hotel was still standing, it was not in operation again until World War II, when it was reopened and used for a while to house men from the Kingsville Naval Air Station (see NAVAL AIR STATION, KINGSVILLE). In 1946 the hotel was purchased by the Riviera Beach Hotel Corporation, but it never became a profitable venture; around 1952 it was destroyed by fire. In the late 1950s a bait stand was opened, the first business at the beach in several decades. In 1990 the community had fifty residents, a bait stand, a county pier, a few vacation homes, and several permanent residences. Fishermen used the boat launch and fishing pier. The population was 125 in 2000. Even now, we still see what drew Koch to this area. The natural beauty of the landscape, the peaceful environment, and the best fishing off the Texas coast are what makes this area so special. Our house has a special connection to Koch and his dream. 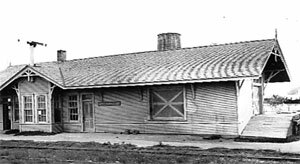 The house was originally one of the train depots that Koch developed in the early 1900’s. It later became a fishing cottage and underwent several additions over the years. In 2008, we purchased the property and proudly offer Casa de Baffin to those who enjoy the great outdoors at its finest!